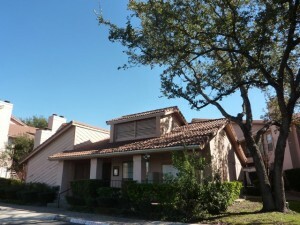 Village at Springtown Condominiums have Spanish style influences with stucco siding and tile roofs. There are 76 total units in this sprawling complex with covered parking and a swimming pool. 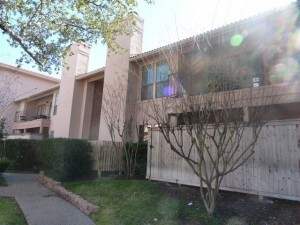 There is easy access to I-35, HEB grocery store and the Texas State campus by bus route. 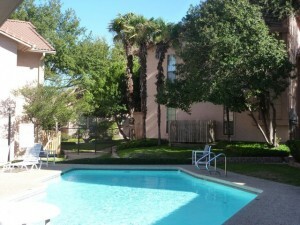 There are 2 bedroom 2 bath units and 1 bedroom 1 bath units.